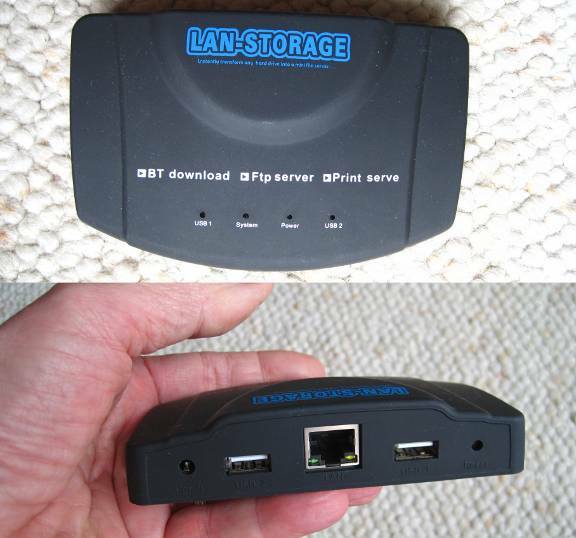 Almost two years ago I purchased a WLX-652 Lan-Storage device from a Hong-Kong eBay seller for about $35, including shipping. 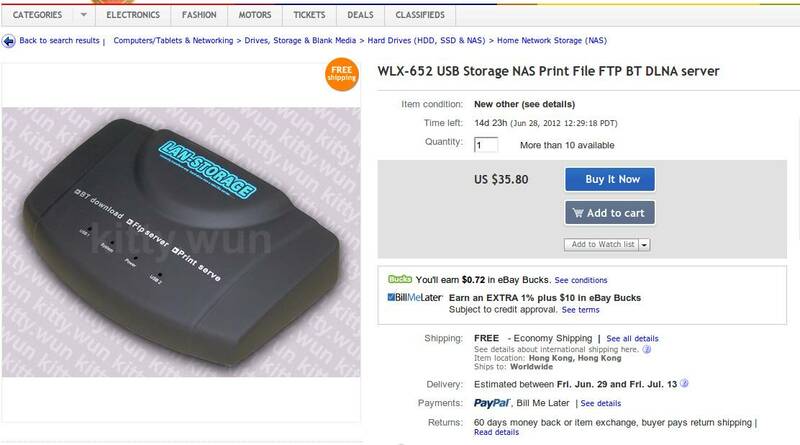 They are still for sale today – just search for WLX-652 and you’ll find listings like the one illustrated below, some even mentioning that it will support SnakeOS. 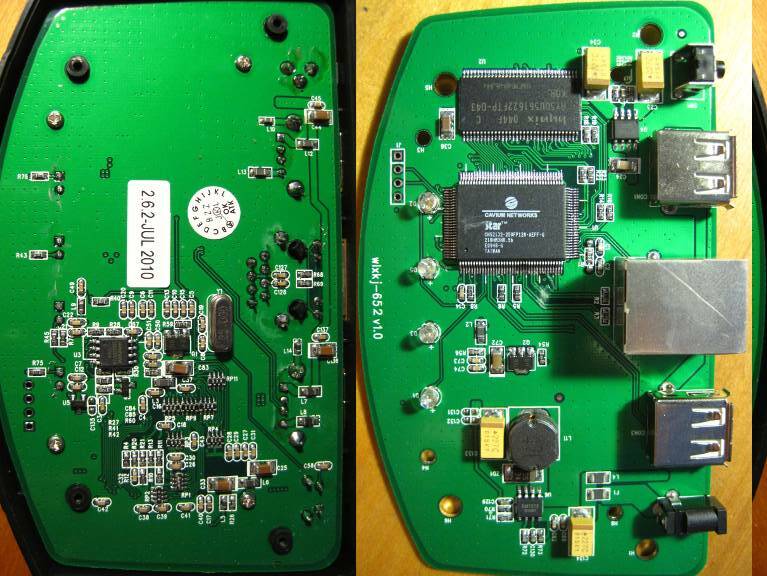 Beware, however, that there are similar looking units that will not support SnakeOS Linux – make sure that it is a WLX-652 model. The WLX-652 Lan-Storage unit plugs into power with a wall-wart and there are two USB ports on the back (see photo below). There is also an Ethernet jack (sorry, no WiFi). The WLX-652 Lan-Storage unit’s disk drive is whatever USB-drive you plug into one or both of its USB ports. Currently, I only have a USB-stick plugged into mine but I am considering plugging a USB 250-GB drive. Why you ask? The WLX-652 Lan-Storage unit creates your own local cloud where any device on your LAN can access the shared folders on the WLX-652 Lan-Storage unit for file storage/retrieval. If you port-forward to the WLX-652 Lan-Storage unit you can access the device from the Internet, using the SnakeOS’ authentication login/password for security. This is my ultimate goal – keeping some home-based storage present on the web and access to other LAN connected devices within my home, while I am away. There is a YouTube video about setting up SnakeOS at THIS-LINK. This entry was posted in Electronics and tagged NAS, Snake-OS. Bookmark the permalink. Is this a reliable NAS or often have to restart? I am NOT currently using it, but I used it for several months and it was completely reliable at that time. Thanks for posting this. I was looking for using a Pi for remote backup, but this looks much better.